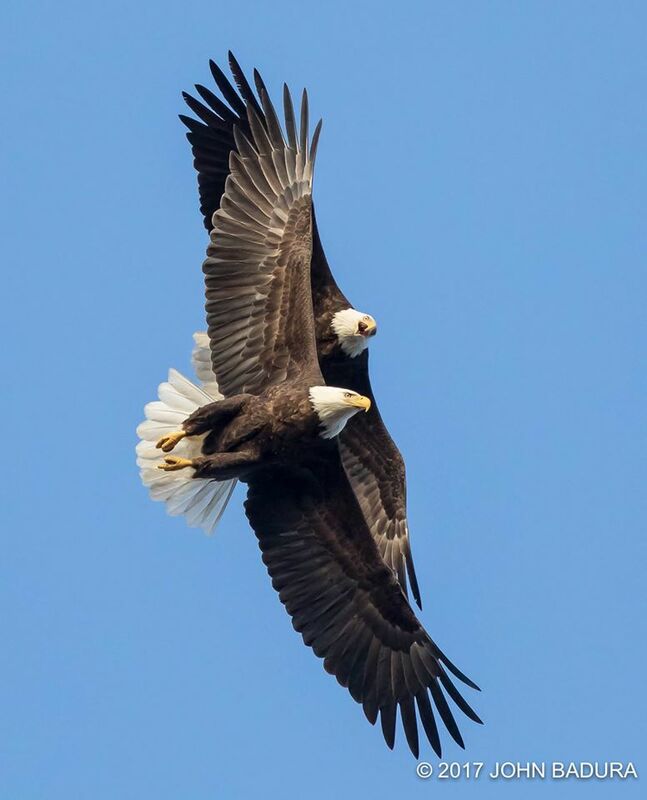 Bald Eagles over Poughkeepsie, NY. These fearsome raptors may not seem like the romantic type, but they also partner up for life. 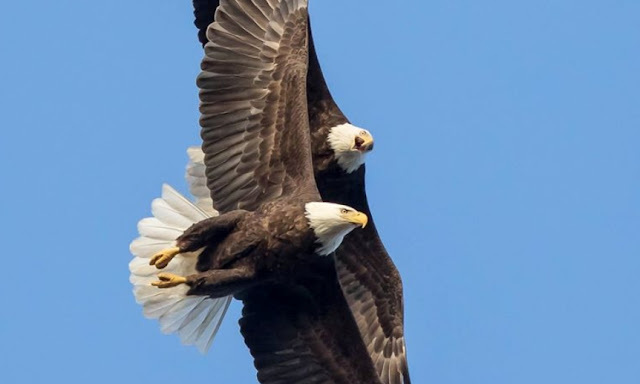 According to studies on their behavior, they court and reinforce their bond through elaborate displays that involve locking their talons in mid-air before free falling through the sky. 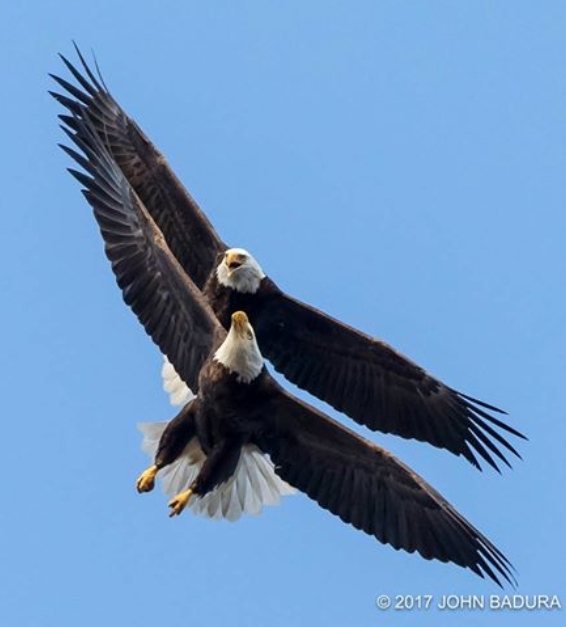 Thanks to raptor cams, we’ve also been able to see these giant birds delicately caring for their young. Humans like to think of themselves as a faithful species, but when it comes to true fidelity, many other animals offer better examples of how to keep a relationship together. Although monogamy and lifelong pair bonds are generally rare in the animal kingdom, there are some animals that pull it off. Mating season - varies greatly by region. In the South it may last from late September through November, while in the Great Plains and Mountain West, it may last from January through March. In Alaska it lasts from late March to early April. The bald eagle is monogamous, and thought to pair for life, reinforcing the pair bond through spectacular, acrobatic flight displays that include the pair flying to a great height, locking the talons, and cartwheeling towards the ground, only breaking off at the last moment. The breeding season of the bald eagle varies with location, ranging from April to August in Alaska and Canada, to November to March in southern USA. 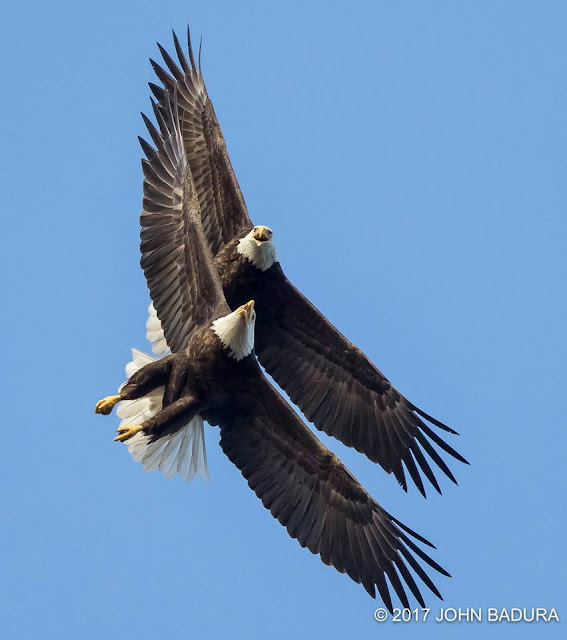 Responses to "Love Is In The Air: Bald Eagles Spotted Showing Their Love For Each Other"